(15556.2, Floyd Haws Collection, OHS). 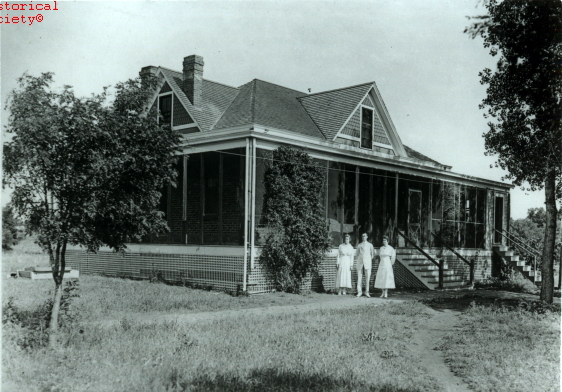 (21188.1, Oklahoma Historical Society Photograph Collection, OHS). Located in the northeastern part of Washita County, Colony is sixteen miles east and four miles north of Cordell on State Highway 54B. The community took its name from the Seger Colony, founded by John Seger. In 1886 Seger arrived in the area in company with many Arapahos. Later, Cheyennes joined the colony. By 1887 the number of Indians had increased to over five hundred. In 1892 the first brick buildings in Washita County were constructed for an Indian industrial school. Under Seger's supervision, the Indians made the brick and cut the stone for many of the school structures. Prior to the land run to open the Cheyenne and Arapaho lands to non-Indian settlement, many participants started their race at Colony. Seger was in charge of the more than two thousand prospective settlers whom the U.S. government allowed to begin inside the boundaries because of the dangers of crossing Cobb Creek en masse. In 1895 the Dutch Reformed Church founded a mission at the colony. The government permitted William De Lestinier to operate a store near the Indian school. Following the 1892 land opening, Zack King and several others established a townsite west of the Indian school and obtained a post office designation as Seger. De Lestinier moved his store to the new townsite. The post office and most of the residents moved four miles west of the school. In 1896 the U.S. Post Office Department approved a post office called Colony at the original Seger site. 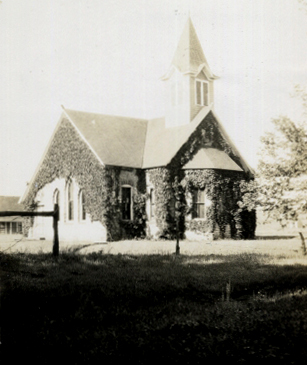 Colony School District 109, the last to be established in Washita County, organized in July 1912, due to the closing of the Dutch Reformed Church Mission School, which had been in operation in Colony since 1897. The Colony community had early growth. A bank, a blacksmith shop, several general merchandise stores, three churches, a newspaper, a hardware and funeral-supply enterprise, a small hotel, restaurants, and other businesses soon were established. In 1911 the estimated population was three hundred. In 1932 the Seger Indian School closed. In 1970, at the first federal census, the population stood at 201, slowly declining to 163 in 1990. In the 1970s the school system consolidated with Corn to form the Washita Heights School District. At the beginning of the twenty-first century the town had a fire department, a strong city government, active churches, and several small businesses. The 2000 population was 147; in 2010 it had declined to 136. Richard H. Harper, "The Missionary Work of the Reformed (Dutch) Church in America in Oklahoma," The Chronicles of Oklahoma 18 (September 1940). Carl Jones, Development of Washita County School Districts, 1892–1951, and Financing 1940–1952 (N.p. : Carl Jones, 1952). William Welge, "Seger's Colony Remembered," Washita County Enterprise (Colony, Oklahoma), 26 June 1986. Wayne Boothe, "Colony," The Encyclopedia of Oklahoma History and Culture, https://www.okhistory.org/publications/enc/entry.php?entry=CO031.